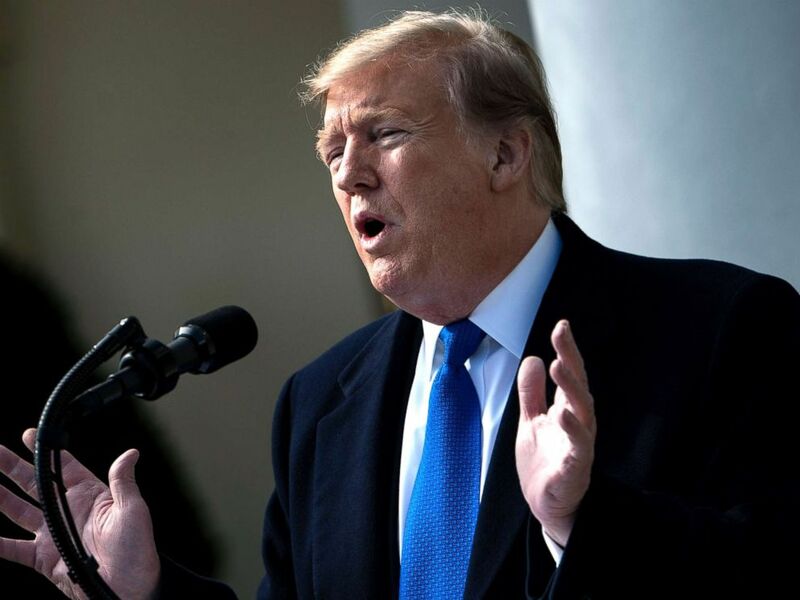 President Donald Trump announced his decision Friday to declare a national emergency over what he called an "invasion" at the southern border. 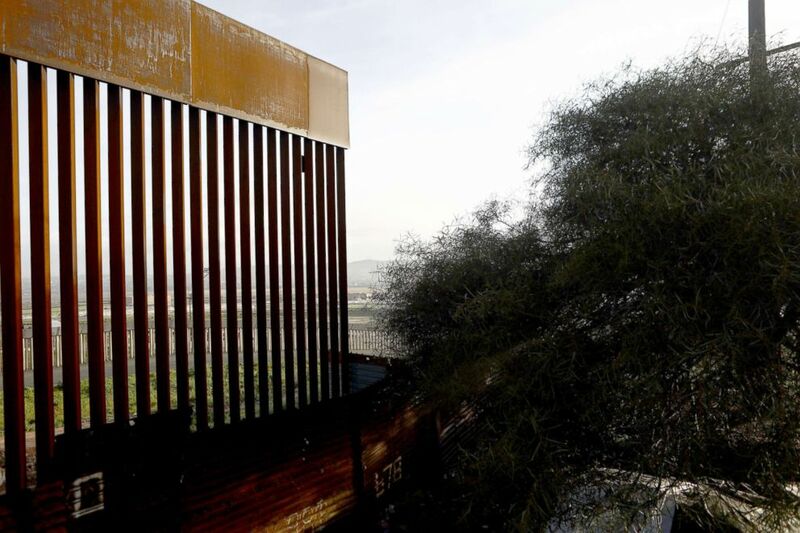 The declaration will allow his administration to use additional funding for a border wall, which Congress refused to fund in full in the bill passed Thursday to keep the government open. Here are some of the statements the president made to justify going around Congress to fund the border wall to the tune of about $8 billion, a plan that is likely, by the president's own admission, to face immediate legal challenges. Though the president described the border crossing situation as an “invasion” of criminals, of the hundreds of thousands of people Customs and Border Protection has encountered, the agency’s own statistics show only a small percentage — about 4 percent — were convicted of a crime, whether committed in the U.S. or abroad. CBP has said its agents encountered more than 566,000 undocumented immigrants at the border last year — about 200,000 of whom were turned around and about 360,000 of whom were apprehended. In all, 24,048 people out of the more than 566,000 encountered by CBP in 2018 were deemed criminals, resulting either in a person being deemed "inadmissible" at a port of entry or arrested because CBP had warrants out for their apprehension. And the CBP statistics show the number of criminals encountered at the border has decreased over the past three years. As for the president claim that gang members are invading the country, CBP data shows they make up just 0.1 percent of the undocumented immigrants the agency encounters. Of the 566,000 encounters nationwide last year, border patrol agents apprehended only 728 undocumented immigrants with gang affiliations. The number of gang members apprehended nationwide has shifted year to year, and in 2018 there were about 200 more apprehensions than in 2017, though still 300 fewer than in 2014. The U.S.-Mexico border barrier stands, Feb. 15, 2019, in Tijuana, Mexico. The biggest fentanyl bust in history was made just a few weeks before the president made this claim. According to an announcement from the federal government, 254 pounds of the lethal drug heroin were seized by Customs and Border Protection. But the smugglers weren't trying to sneak across the border with the drugs in backpacks, or through an underground tunnel. The drugs were loaded into a trailer filled with cucumbers and shuttled to a U.S. port of entry in Nogales, Arizona. According to the Drug Enforcement Administration's 2018 Drug Threat Assessment, the majority of drugs enter the U.S. through ports of entry at the southwest border. “The majority of the flow is through POVs (privately owned vehicles) entering the United States at legal ports of entry, followed by tractor-trailers, where the heroin is co-mingled with legal goods,” according to the DEA assessment. Are there other ways of getting drugs in the country from Mexico? Yes. By water, and by air and through other borders, but those methods account for only a small percentage of the heroin seized by the U.S.
A "small percentage" of all heroin seized along the border was between ports of entry, according to the DEA assessment. Trump: "I get my numbers from a lot of sources like Homeland Security primarily, and the numbers that I have from Homeland Security are a disaster." The numbers that come out of his own Department of Homeland Security, instead of supporting his claim of an "invasion," show that illegal border crossings are at historic lows. According to Customs and Border Protection data, illegal migration is down dramatically over the last two decades. For example, in 2001 there were 1,643,679 apprehensions at the border, compared with 396,579 in 2018 -- a more than 75 percent drop. President Donald Trump speaks about a state of emergency from the Rose Garden of the White House, Feb. 15, 2019, in Washington, DC. The president said this in response to a question about the disconnect between the president’s description of an “invasion” at the southern border and the numbers from his own administration. In reality, undocumented immigrants are about half as likely to be incarcerated as native-born Americans, according to a report from the Cato Institute on nationwide prison incarceration rates. Trump, however, specifically said to look at numbers in federal prisons — which is where someone is confined when they commit an immigration offense. That means the rate for undocumented immigrants in federal prison is higher: One in five prisoners in federal prisons was known or suspected to be undocumented immigrants, according to a 2018 Justice Department report. Also in the report: Approximately 90 percent of the country’s inmate population is in state prisons and local jails — not federal prisons. ABC News' Luke Barr and Jack Date contributed to this report.